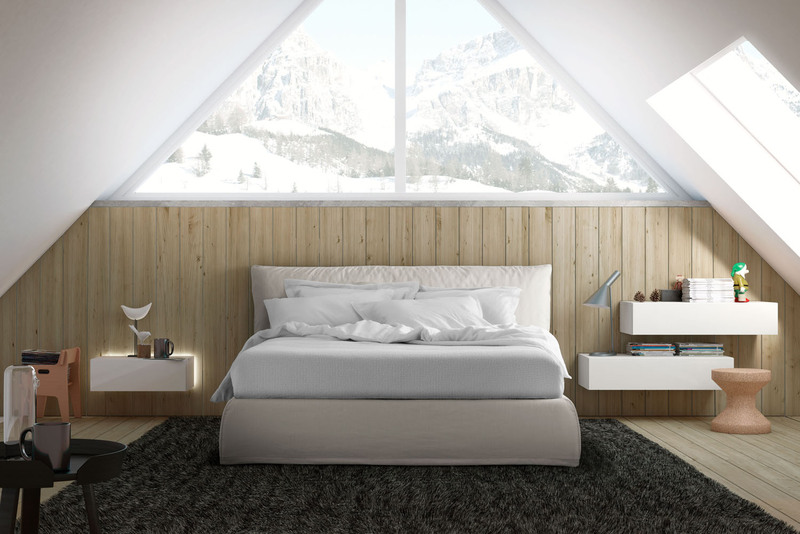 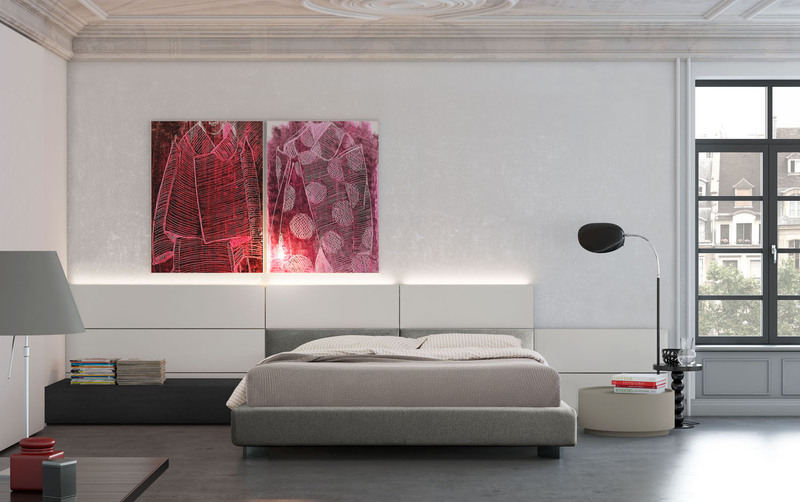 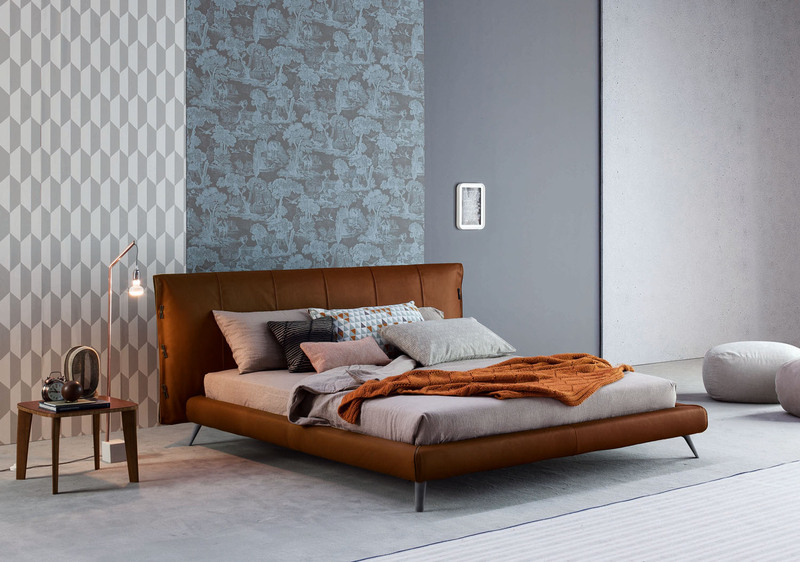 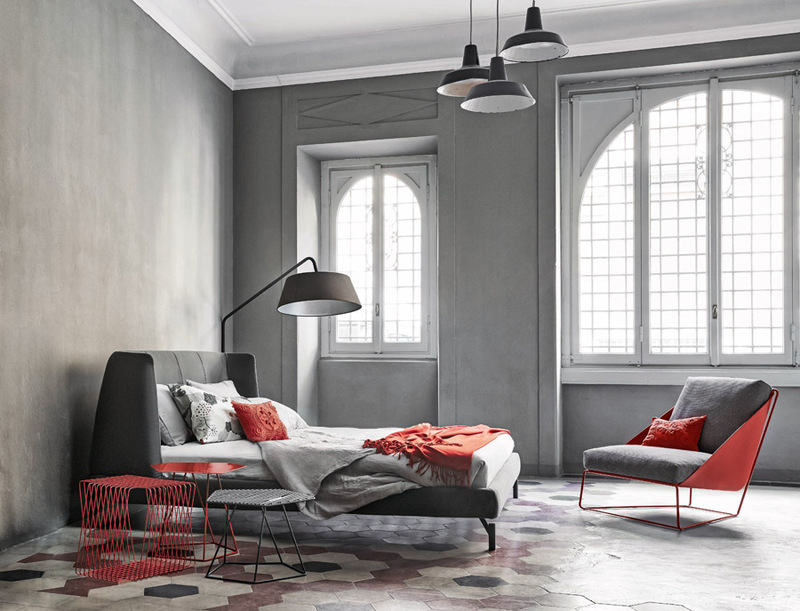 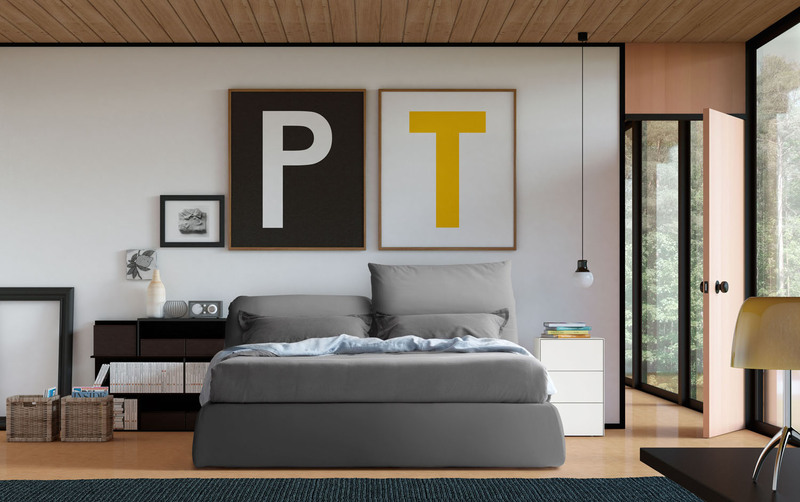 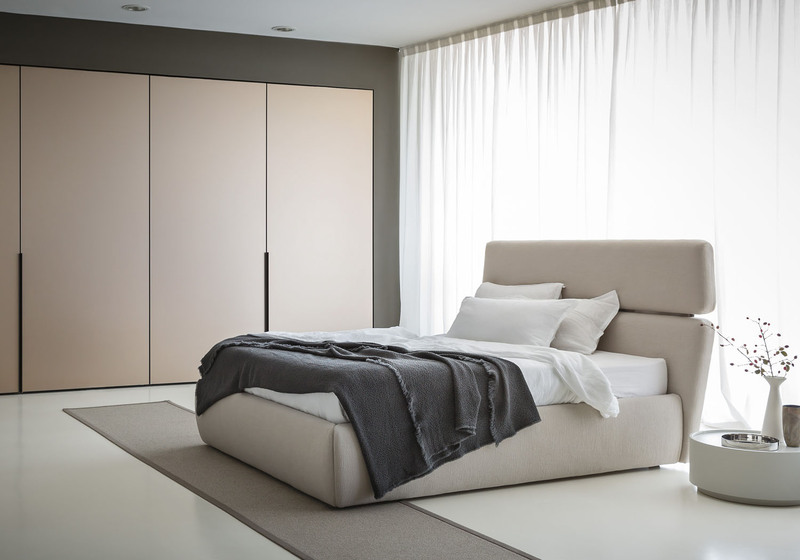 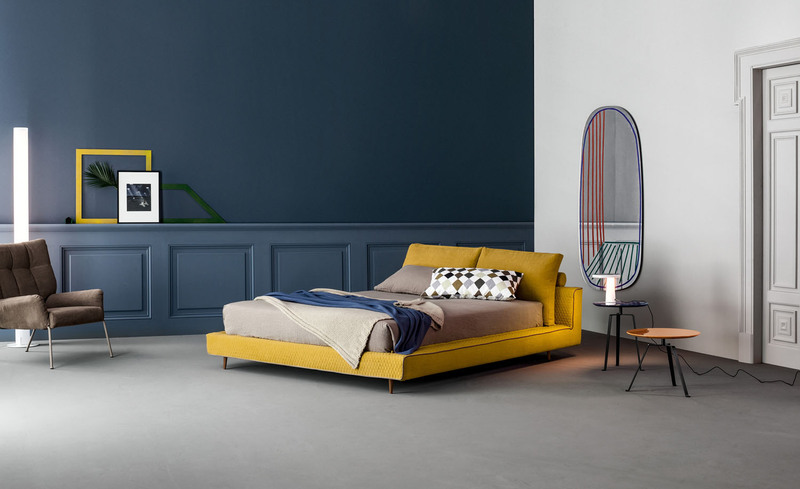 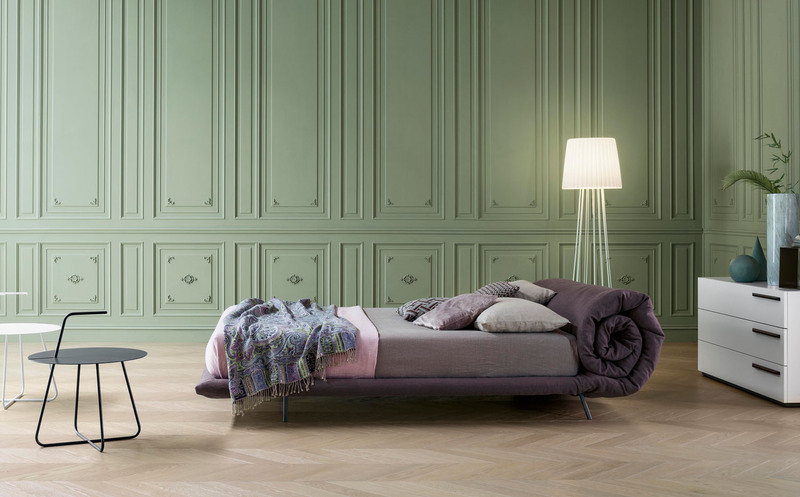 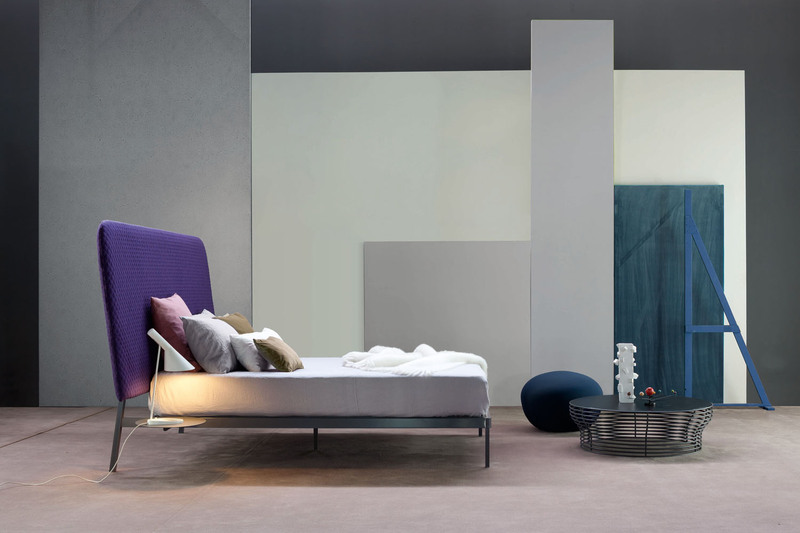 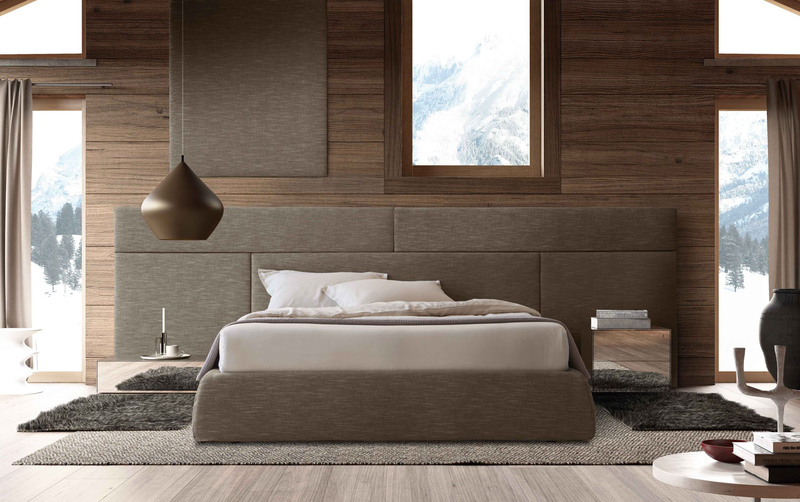 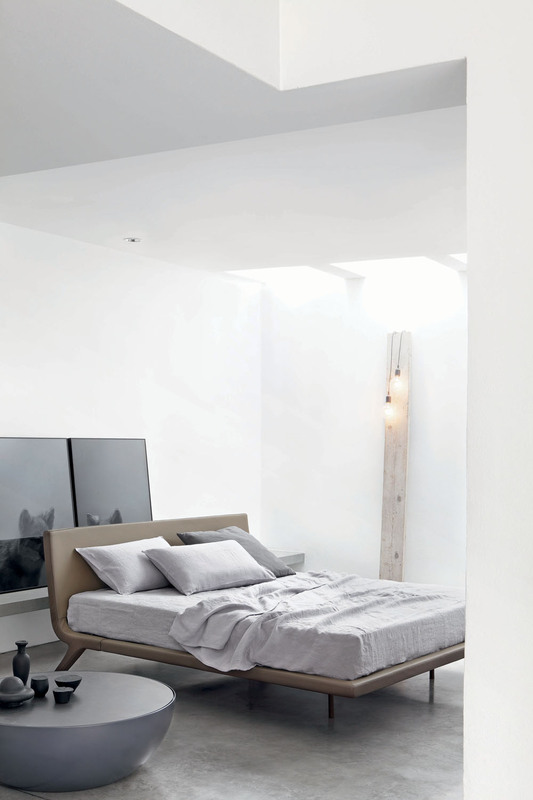 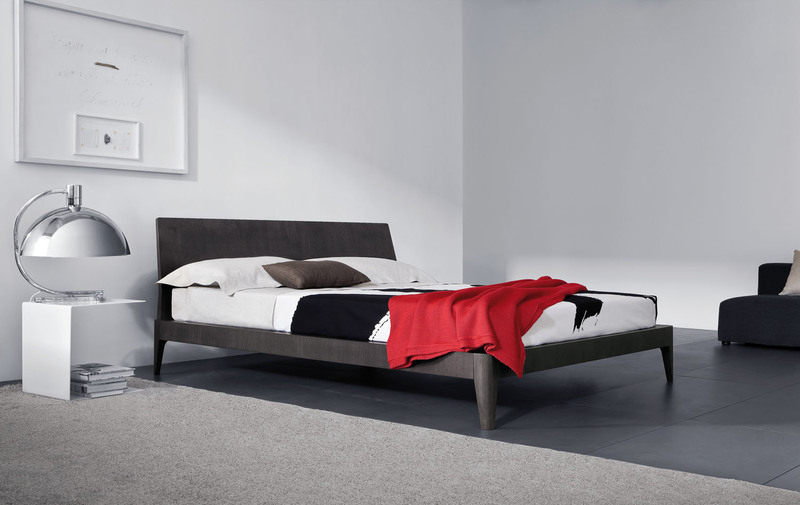 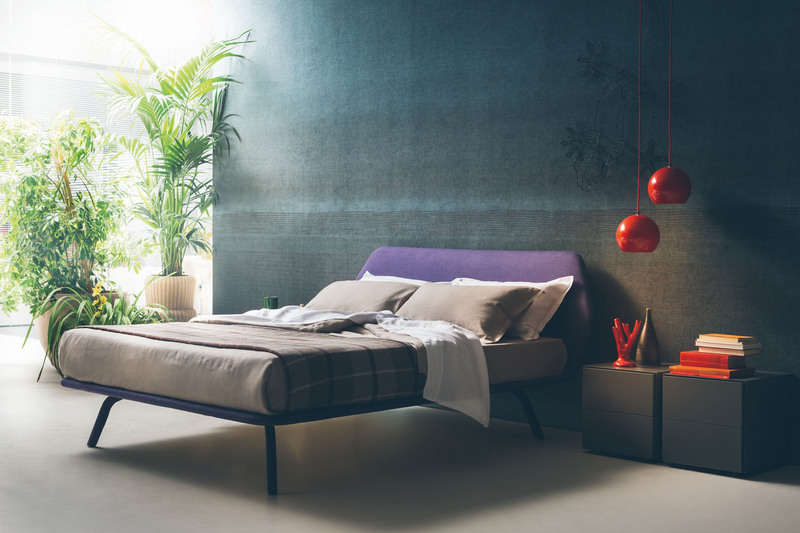 The Joe bed by Mauro Lipparini features a light-weight, elegant & simple design. 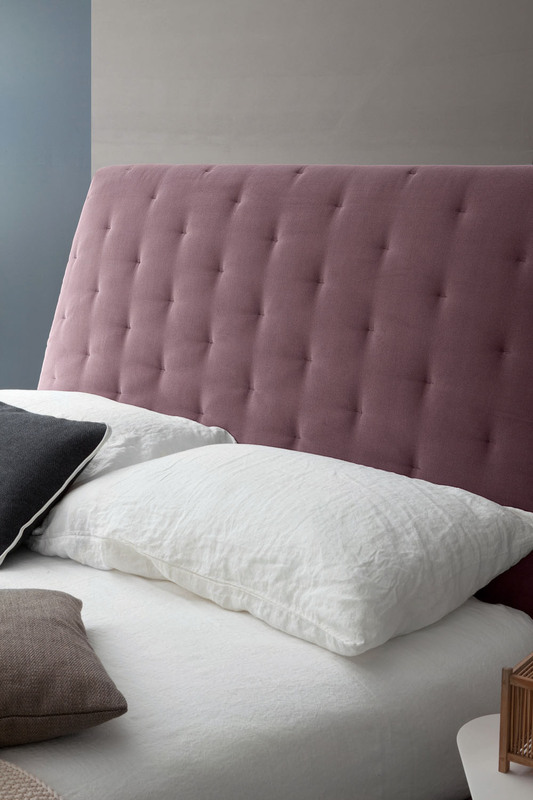 The headboard is available in fabric, skay (eco-leather) or leather with an optional contrast edge. 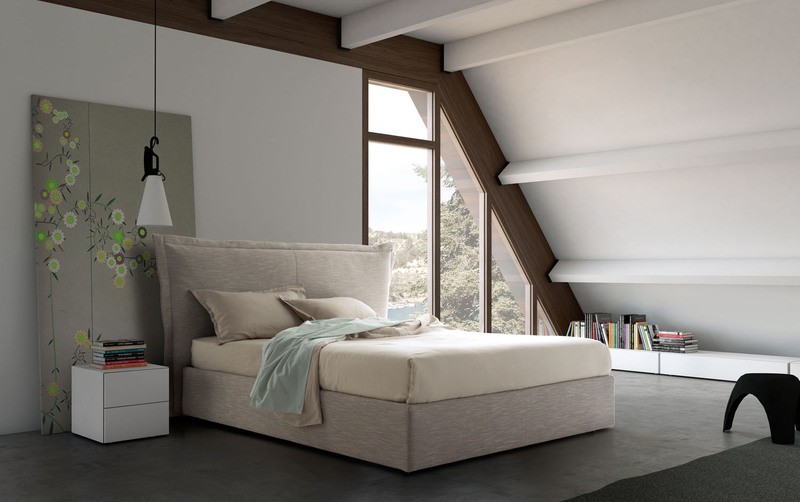 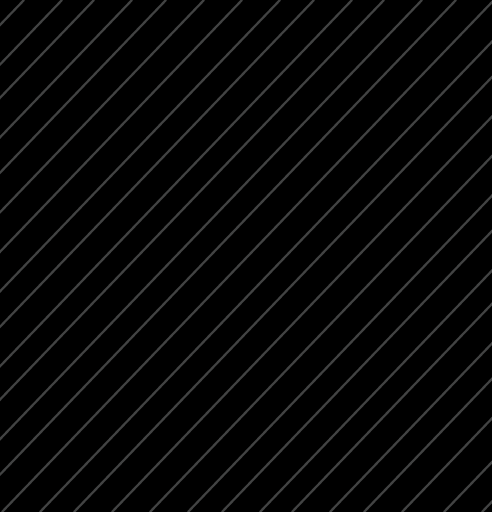 Light weight, elegance, simple design. 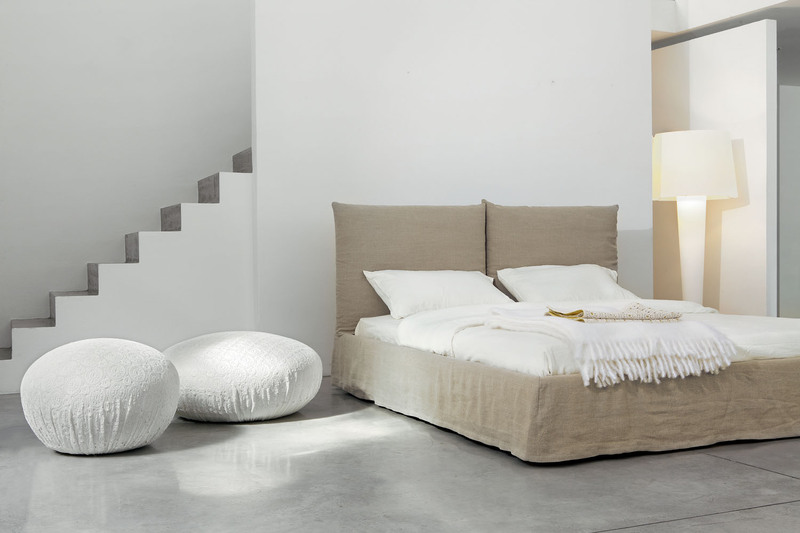 An essential and pure silhouette. 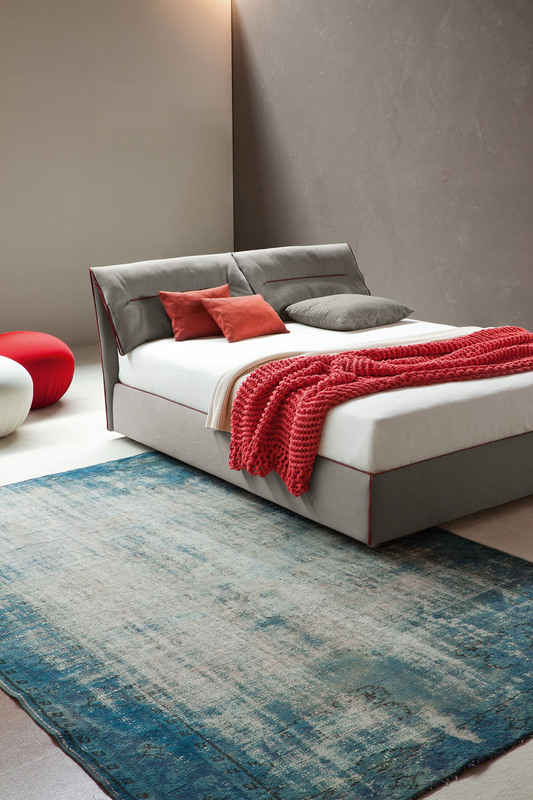 It is available in two models: Joe, with a lower headboard and an ornamental border running along the entire perimeter, and the Joe Ego version, which is quilted and has a higher headboard. 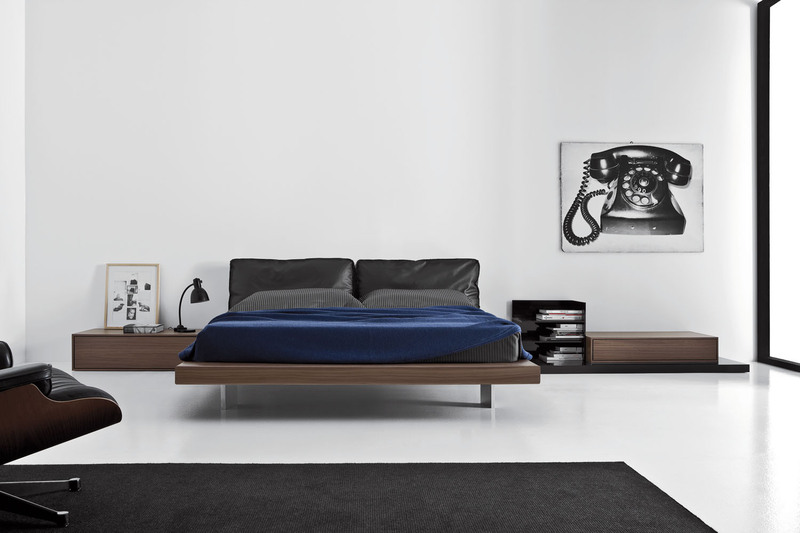 The cover is available in fabric, skay (eco-leather) or leather. 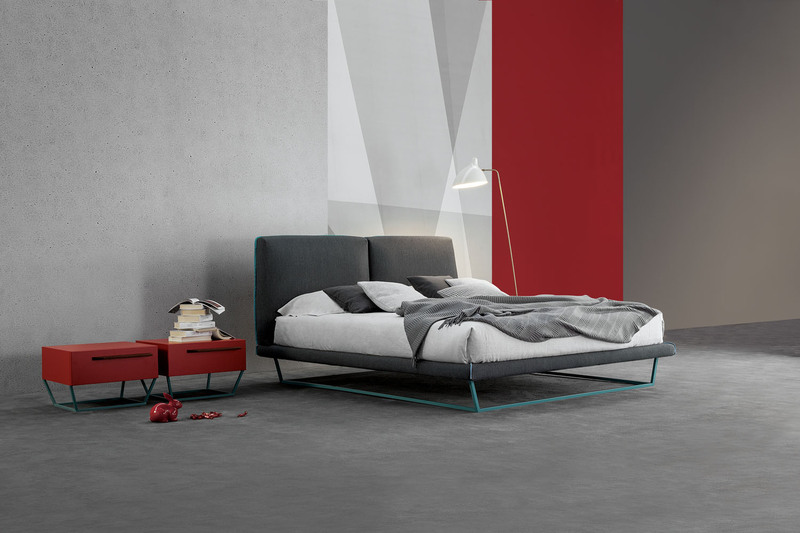 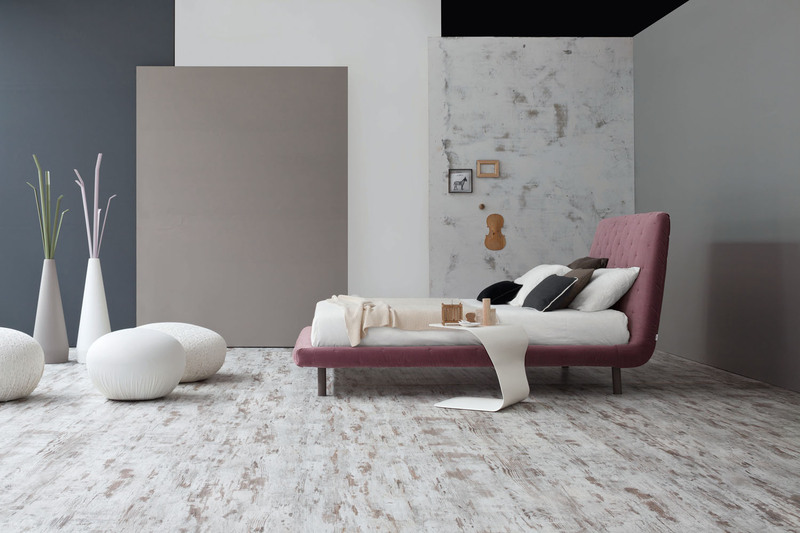 The feet are made of metal painted in white, anthracite grey, dove-grey or matt amaranth. 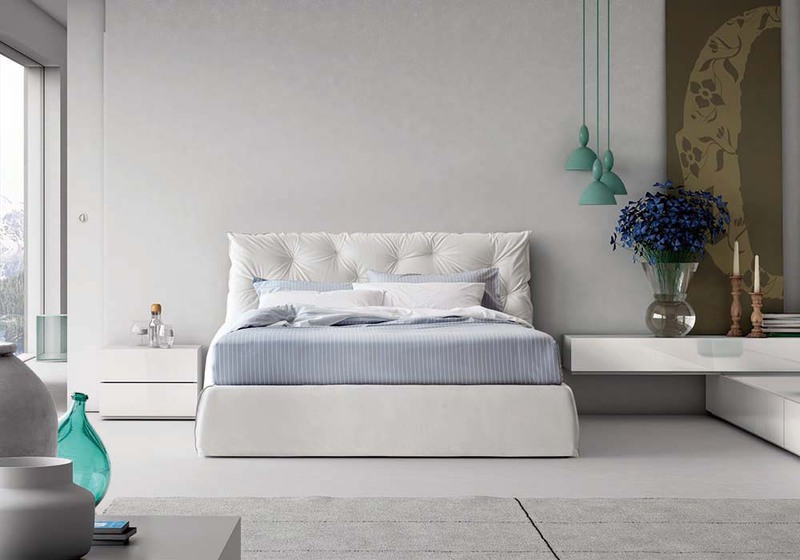 The decorative border is available in five different colours (grey, white, beige, anthracite grey and blue).